Here is my finished Christmas lantern. It was so fun. I love designing and decorating. First I embossed all the chipboard with a snowflake embossing folder then I painted everything white and finished it with a gloss varnish. 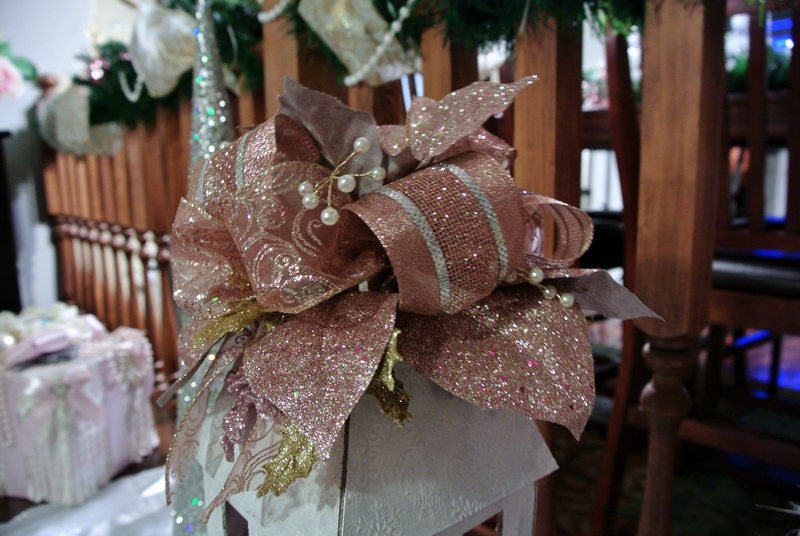 I added ornaments and then made a big puffy bow and added a pink poinsettia and pearls around the top. 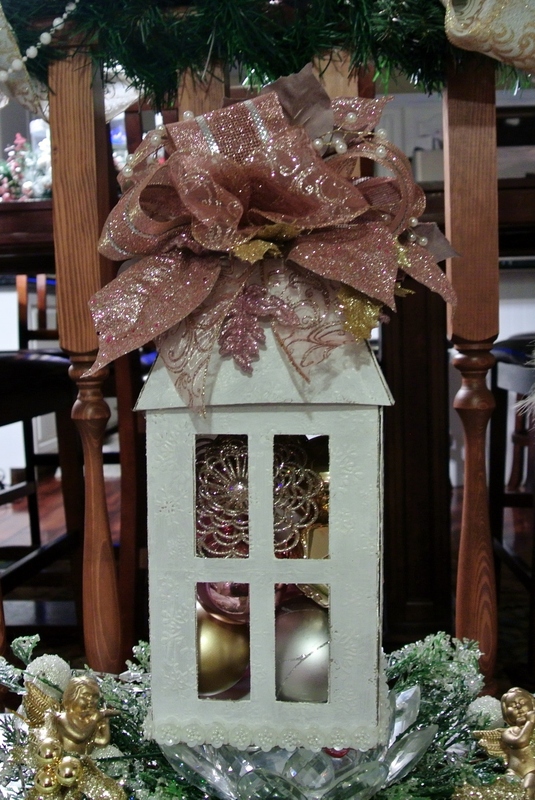 I finished at the bottom with some white sequined trim. The top opens so I can change out the decorations for different seasons or holidays. Scroll down to see video. 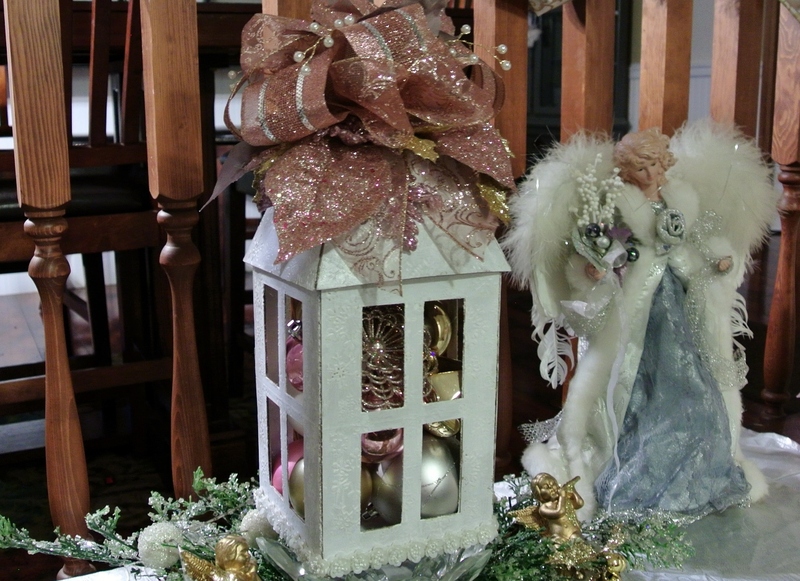 I will also add the tutorial so you can make your own lantern from cereal boxes or chipboard. I love your Christmas Village..will you be doing more? Can l purchase the houses?..l Just want to paint and decorate. Thank you Marilyn! No I don’t sell the houses, I make video tutorials so others can make their own.